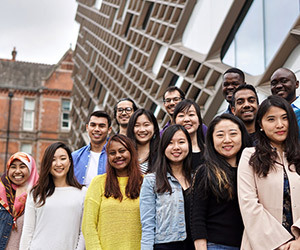 Social scientists at the University of Sheffield tackle the world's greatest challenges and use them as an opportunity to question, collaborate and innovate to create sustainable solutions. Below, meet some of the talented and impressive women working in Social Sciences at the University of Sheffield, whose research and interests span the illegal wildlife trade, sustainable cities, climate change, food supply and food poverty, disabilities, journalism and political engagement. 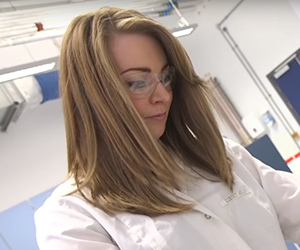 "Not all scientists wear lab coats...the phenomenal women in our faculty are addressing some of the world's most complex problems, and changing lives for the better," says the Univeristy of Sheffield. Hannah researches food insecurity, the rise of emergency food provision and the human right to food. 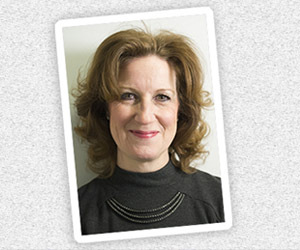 Her work has been part of evidence on the growth of food charity in the UK with her studies on the Trussell Trust Foodbank Network, FareShare and other independent initiatives. Hannah has managed projects on food charity and food insecurity for funders including the Economic and Social Research Council (ESRC) and Engineering and Physical Sciences Research Council (EPSRC) and was lead author of the Department for the Environment, Food and Rural Affairs (Defra) funded ‘review of food aid’ related to the growing concern about rising uptake of food charity. 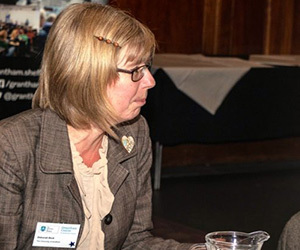 Hannah won an award for Outstanding Early Career Impact at the ESRC’s Celebrating Impact awards, is a registered specialist with the Food Standards Agency (FSA) for her research expertise in food and poverty and sits on Child Poverty Action Group’s (CPAG) Policy Advisory Committee. Megan researches into how social institutions, everyday practices and places produce the possibilities for and constraints on performance of food practices through looking at unjust foodscapes and food surplus and waste. She co-produces research that aims to build coping, adapting and transformation in vulnerable communities and families through food. Megan has worked with international, national and locally based organizations in the UK, Hong Kong and Hungary. As well as academic research, Megan is also focused on public outreach, so is a member of The Greater Manchester Poverty Action—Food and Wellbeing group; Sheffield City Council Food Group; Doncaster Food Partnership Board and Healthy Weight Networking Group—Yorkshire. She has appeared in print, on radio and on television media and has been a keynote speaker for events both in the UK and abroad. Kirsty's research spans disability, gender, sexuality and intimacy, and more recently, childhood and youth, with a particular focus in how disablism and ableism impacts the lives of disabled people. She incorporates disability activism, arts and culture in her work because they push the boundaries of traditional social scientific thinking and allow multiple ways of thinking. Kirsty is also the Editor at large for the leading journal Disability and Society and regular peer reviewer for Gender and Education; Community Development Journal; Sexualities; Emotion, Space and Society; and Girlhood, as well as for the publishers Palgrave, Routledge, and Jessica Kingsley. 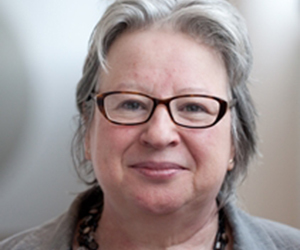 She is also the Member of the Faculty of Social Sciences Equality and Diversity Committee; the Sexuality Alliance (Open University); Co-Founder of the Faculty of Social Sciences Early Career Researcher Forum; and founding member of the Centre for Critical Psychology and Education and iHuman. 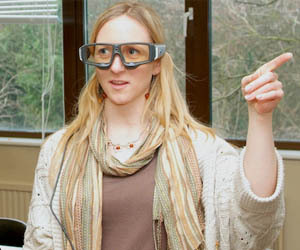 Katherine’s research is located in the field of critical disability studies. Critical disability studies aim to understand and challenge exclusionary and oppressive practices related to disablism and how these link with other forms of marginalisation including hetero/sexism, racism, poverty and imperialism. 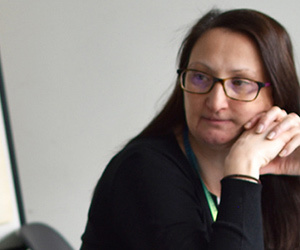 Katherine's research has been done alongside disabled children and young people and their families and allies, and more recently, with people labelled with learning disabilities in a time of austerity. She is also interested in the developing field of critical autism studies that aims to find out the ways in autism is produced and consumed and the impact this can have on people's lives. Katharine's research focuses on political parties, public opinion, digital campaigning and democratic politics. She wants to reach audiences beyond academia, so she works closely with UK Political Parties, YouGov and the charity Involve. She won the ESRC Future Leaders award for a project entitled 'Renewing Party Politics? Digital Innovations in Political Campaigning'. The project examines how UK political parties are using digital technology to connect with citizens. It also generates new data on public attitudes towards parties, looking at what citizens want from these organisations today. She also won the British Academy Rising Star Award 'The Challenges of Studying Political Campaigning in the Digital Realm’. This project studies digital election campaigning and the use of online tools by political campaigns. 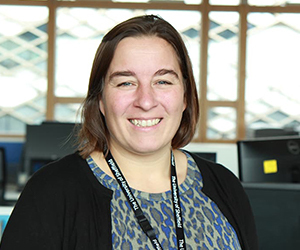 Ruth’s research and teaching focuses on international security, terrorism and political violence, and human rights. She is the Lead Editor of the Review of International Studies, a journal of the British International Studies Association (BISA), published by Cambridge University Press. 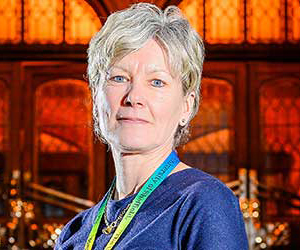 She was the Honorary Secretary of BISA and is a member of the editorial advisory boards for several journals. 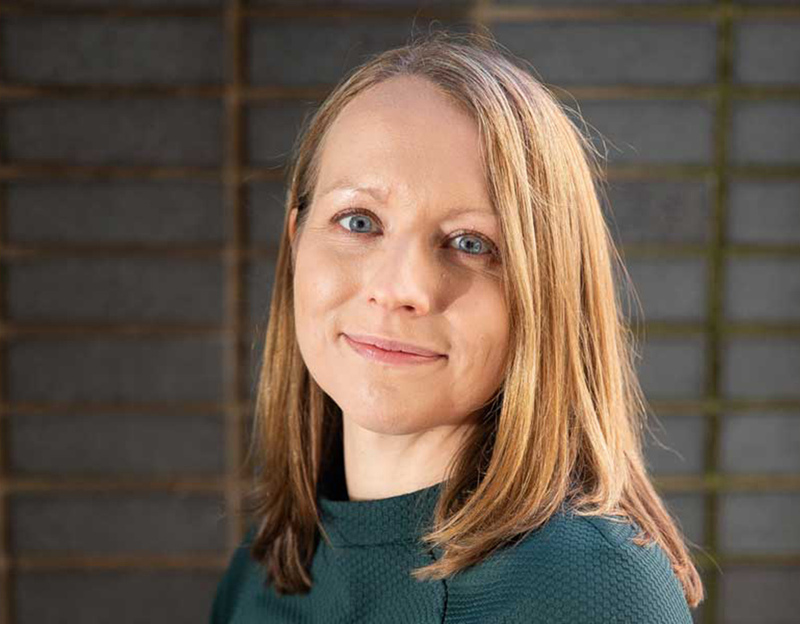 Beth’s research focuses on critically interrogating and developing pathways to more just sustainable urban futures in terms of urban governance, transformation and the roles of universities, with an emphasis on socio-environmental and socio-cultural transitions. She has written widely on these issues and is currently working with Professor Tim May at the Sheffield Methods Institute on two co-authored monographs on reflexive social scientific knowledge production and the changing relationships between cities and knowledge. 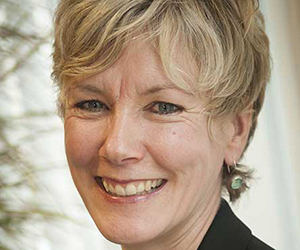 She is currently leading three major UK projects focussed on co-producing urban transformations, with a team of 5 researchers working across the Urban Institute and Sheffield Methods Institute. Dorothea's research investigates sustainable human development, global justice, and the potential role of digital technologies in making progress towards these aims. She is the Chair of the Royal Geographical Society, Editorial Board Member, The Journal of Consumer Ethics, Editorial Board Member, Information Technologies and International Development and holds advisory roles for UNESCO, UNICEF, UNEP, among others. 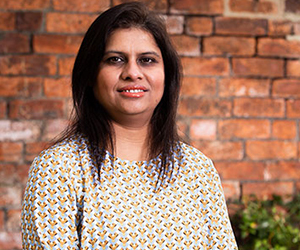 Teresa’s PhD research explores how the environment can transform issues of development, sustainability and peace in a context of post-conflict peacebuilding. Using the European Union’s peacebuilding policies in Kosovo as a case study, she looks into the manner in which such EU policies are led by the principle of sustainable development, and the role that is given to the environment within this. The research hypothesises that the EU has failed to comprehensively integrate the environment, through the guiding principle of sustainable development, into its peacebuilding policies. Against this background, Teresa’s research explores the relationship between sustainable development and environmental peacebuilding in more detail. Genevieve's research focuses on the political economy of the global labour market, including current projects on the governance of transnational supply chains, the politics and effectiveness of corporate social responsibility, and the business models of forced labour. She has been included in the 2018 UK Top100 Corporate Modern Slavery Influencers and the 2017 global Top 100 Human Trafficking & Slavery Influence Leaders lists, alongside world leaders from the UK and US governments and industry leaders from companies like Apple and Ford. In 2015, she was awarded the Rising Star Engagement Award from the British Academy in recognition of her contributions to research and policy-making on forced labour. Jackie's area of expertise is the civil role and power of the news. Her research examines three particular aspects of this: the architecture and culture of the news; the mediation of civil society and social identity by the news; and issues of news freedom and standards. She has written extensively in these areas. She has also researched into nmonitoring media violations and freedom for the Media Subcommittee, Parliamentary Assembly Council of Europe (PACE); Media Freedom in Europe, for the UK Foreign and Commonwealth Office; Public Service Broadcasting in the EU for the Soros Foundation; the use of user-generated content at the BBC, for the British Academy; and six funded research projects for the UK television industry. Jackie has also served as an expert advisor for the European Commission and for several global media companies on media regulation matters, the role and future of news and news journalism, the development of media infrastructure and the use of media capital and newsroom convergence. Vanesa’s research focuses on the governance of global environmental change in the urbanization age through three themes: the governance of climate change in urban areas; urbanization and the dynamics of energy transitions; and barriers to the implementation of climate change action. Vanesa has won the Philip Leverhulme Prize for contributions to Geography and received the United Nations Award for Lighthouse Activities that contribute to fight climate change with a focus on the urban poor. Emma is currently working with RESOLVE from the United States Institute for Peace (USIP) to research the prevention and countering of violent extremism.